Happy Creepy Halloween! Half Skeleton Faces!! AWWWWWWWWWW! Black Chicks = Mustad Tibud!!!! 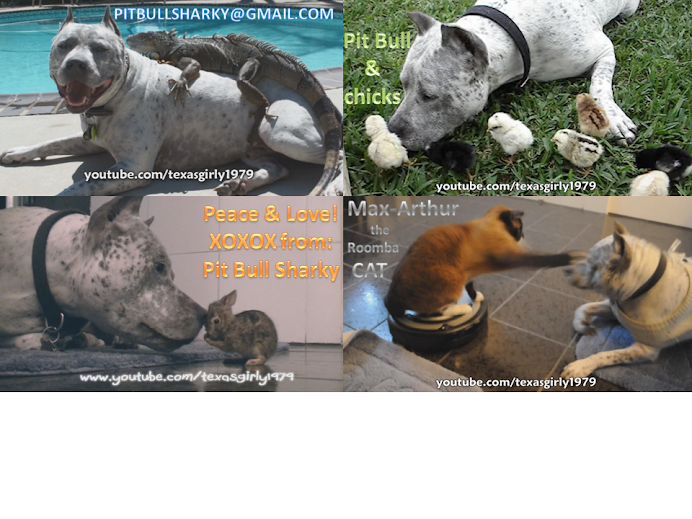 Pit Bull Sharky & Helen - Texas Pittie Parade! Pit Bull Sharky & Cute Chicks!! Pit Bull Sharky and Chick - BIG LOVE! Pit Bull Sharky & Chicks!